Year 2018 can be summarized as another exciting year for SuccessFactors Reporting and Analytics where we saw an evolution of Report Center along with some major features releases in different areas of Reporting. Few Reporting config checks are also introduced under check tool in 2018. Report Center will be the One stop shop for all reports – A single interface to create and run all of your SAP SuccessFactors reports and therefore grabbed special attention in 2018. Note: In Q2 2019, Report Center will be a universal feature applied to all preview instances, and it will be applied to all production instances universally in Q3 2019. Report Center will be required to access and build your future reports. Click here for detailed announcement. As we are now entering in 2019, let’s pause and take a look back on some of the major features released in 2018. 1. Report Center Upgrade : Report Center is available for all customers to enable through the Upgrade Center. Previously customers who did not have Generic Objects (MDF) enabled had to do so through an SAP Cloud Support request. Now that prerequisite is available in Upgrade Center, and available through a link from the Report Center upgrade page. “Set as Landing Page” is visible when reports are run through Report Center or through Workforce Analytics, but only appears if the user has “Show Analytics” (Workforce Analytics) permission. “Clear Landing Page” is visible when user is on the Workforce Analytics landing page. 3. 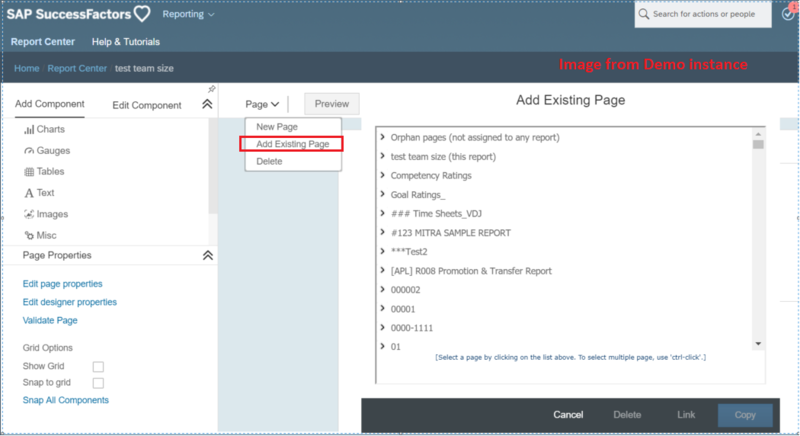 Add Existing Page: You can now add existing pages to a Report – Canvas using the “Add Existing Page” dialog. This also allows you to restore pages from deleted reports (Orphan pages). 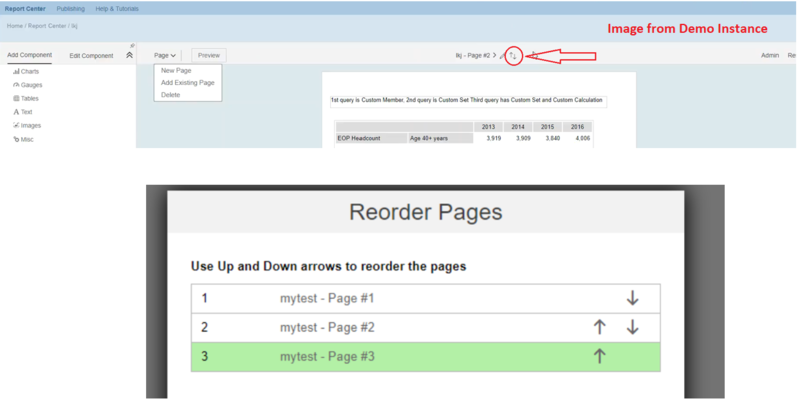 Copy and link pages from other reports allows for greater flexibility when designing Report- Canvas through Report Center. 4. Dashboard Administrators (having Administrator Permissions -> Manage Dashboards/Reports-> Analytics Tiles and Dashboards) can also see all dashboards and tiles in the Report Center. Admins can manage all Tiles and Dashboards (including inactive) in Report Center. 5. Mass Action: You can now perform actions on multiple reports at once. The first supported action is “Delete”. You can select up to 50 reports at once to delete. 6. Delete Orphan pages: On the “Add Existing Page” dialog in Report – Canvas, use the “Delete” option to delete the orphan pages permanently. 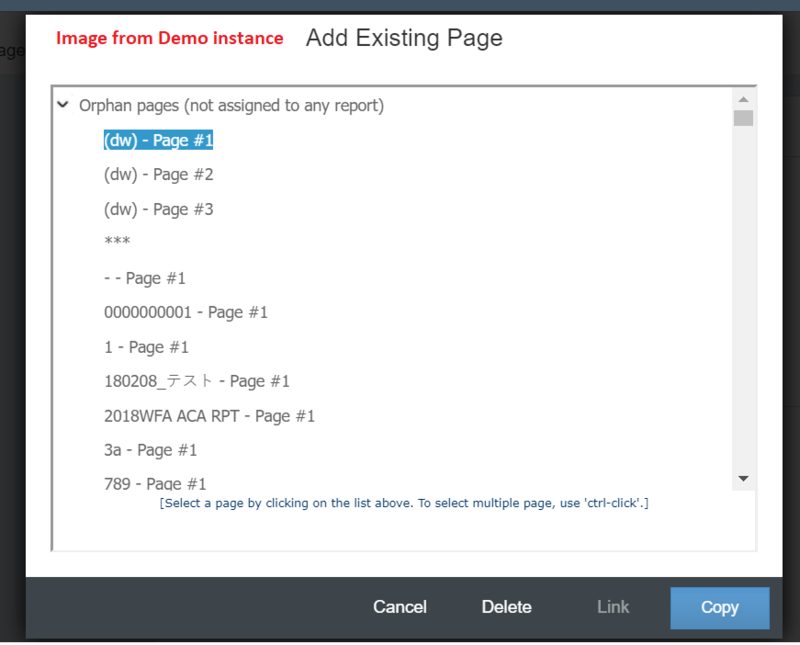 This allows for better management of orphan pages from deleted reports. When deleting a Report – Canvas, the pages are “orphaned” allowing restoration of the deleted content. Due to this, large number of pages build up over time. Click Delete to delete these orphan pages permanently. 7. Report Center filter stickiness : Report Center users can now retain the filter or sort settings applied to the Report listing page even after logging out of the Report Center. End users can set a filter to show only the reports they are interested in and then log out. When users log back to Report Center, their filter settings are retained. 8. Full Screen Option: A “full screen” option has been included to allow the workable area of Report Center to be made full screen to make the best use of available screen real estate, especially on smaller screens. Full screen is now available for all pages in Report Center. 10. Quicklink Error handling: Error handling improvements have been put in place to handle links to deleted reports. An error message is displayed asking users to update their home page favorites or bookmarks when they try to access the reports that may have been deleted or that they do not have access to. 11. 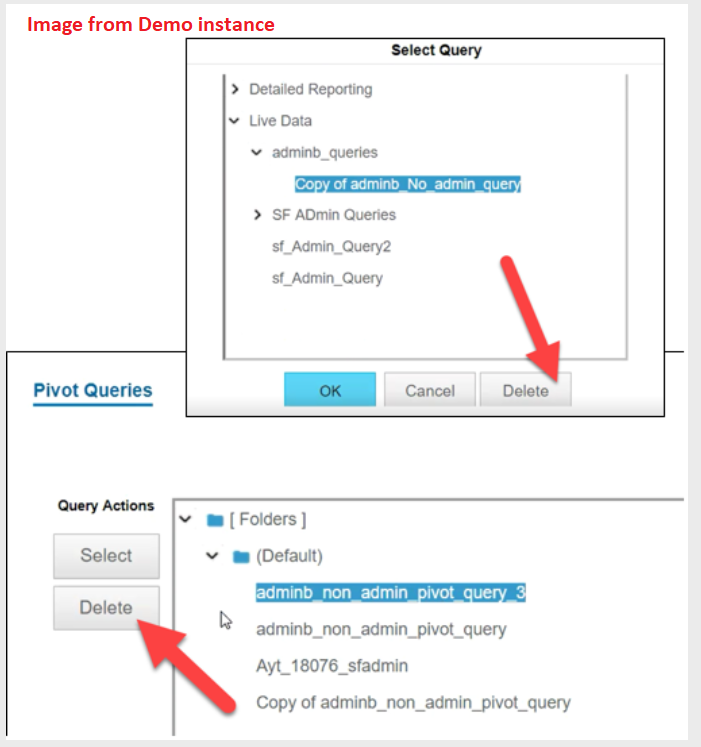 Report Canvas Query Management: In Report Center, a Delete button has been introduced on the Select Query dialog for Query Management. 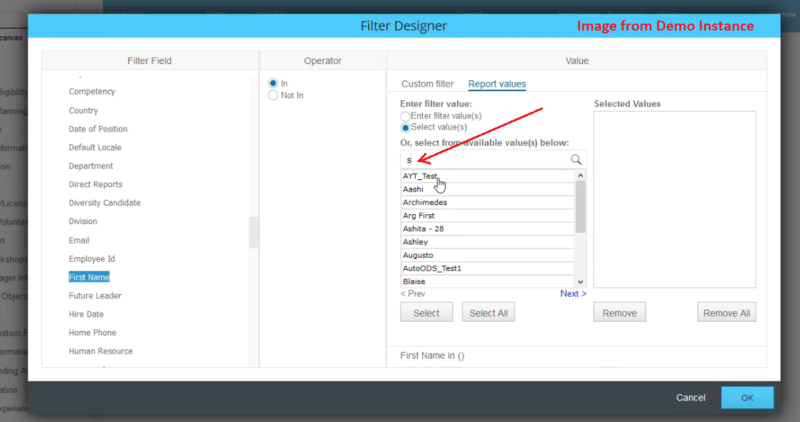 This allows Report – Canvas designers to delete any existing Live Data query, Advanced Reporting Query, or Pivot query. This helps designers and administrators to maintain their environments to avoid unnecessary clutter or distractions from old or irrelevant queries. 12. Bulk Export/Import : In Report Center, you can now import or export multiple reports with different report types in a single action. To export multiple reports, on the Report Center page, select the reports you want to export, and click the Export icon that appears above the reports list. A Zip file of the exported reports is saved on your system. To import multiple reports, on the Report Center page, click Import. Select the Zip file containing various reports with different report types, and then click Import. The reports that are successfully imported appear on the Report Center page. You can only import or export the reports that you have permission for access. When you import or export multiple reports, on completion of the task, a message appears that provides details about the reports that were successfully imported or exported, and about the reports that failed. 1. In Advanced reporting query designer for list reports, the label that matches the identifier is shown as a tool tip. This makes it easier for users to select the correct identifier as the descriptive label is displayed to help with selection. 2. In Advanced Reporting, you can copy and paste filter values in both runtime filter dialog when running a report as well as the “Manage Filter” dialog in the query editor. The ability to paste values is limited to 2000 unique values in the filter. This increases the usability significantly because users do not have to manually search or enter each value on which they want to filter on. The ability to copy paste the filter values is not available with Live Data source in the Online Report Designer. 3. ORD Filter search enhancement: Report admins or users can search filter values matching anywhere in the value, not only by using the beginning of the value. This helps them easily find values even if the users do not know the formal name. This allows the search to be anywhere in the value, not just the beginning of the value. BIRT Upgrade to 4.3.2 : SAP SuccessFactors has upgraded the BIRT (Business Intelligence and Reporting Tools) add-on solution from version 2.6.0 to 4.3.2. This upgrade improves performance of BIRT reports. 1. In 1802, Analytics introduced 4 config checks in the check tool. The following checks are added. Check if any MDF Object with Auto Complete field(s) is found. HTML Tags are appearing in different Ad Hoc Report fields when the report is created using Performance Management Sub Domain Schema. Check if the permission being used is role-based permissions or Workforce Analytics permissions. For more information, see Migrating WFA Permissions to Role-Based Permissions. 2. In Q2 2018 release, configuration checks for Report Center configuration are added in the Check Tool under Reporting and Workforce Analytics. This check confirms if the Report Center is enabled completely with all the configurations in place. 3. In Q4 2018, two new checks have been added to the Check Tool. Role-based permission checks for Online Report Designer reports: For an Online Report Designer report, this check in the Configuration Issues section, validates if the user has been granted the field level permissions for the fields used in the report. It also validates if users have permission to view data from the module or domain on which the query has been built. Performance Management form fields not supported in Ad Hoc Reporting and ORD: This check in the Performance Management Form Fields section gives you an error if the selected Ad Hoc or ORD report contains any of the following deprecated Performance Management fields: Current Route Step ID(Not Supported), Current Route Step Name(Not Supported), Step type(Not Supported), Step Subtype (Not Supported), Step Order(Not Supported), Step Start Date(Not Supported), and Step Due Date(Not Supported). 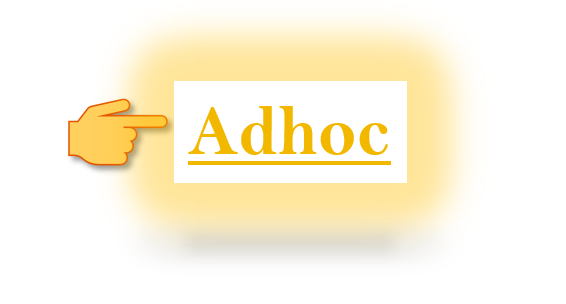 Ad Hoc reports and Advanced Reporting both support data blocking. Please note, however, that in Ad Hoc reports data blocking applies only to Employee Central sub-domain schemas. In Advanced Reporting, data blocking applies to all objects. Data blocking does not apply to Ad Hoc reports that use Group By function. To increase compliance with data protection and privacy laws, we strongly recommend that you disable all classic reporting tools and replace them with Ad Hoc reports and Online Report Designer reports. At the very least, ensure that no sensitive fields appear in the classic reporting tools. From Q1 2018, you can draw Workforce Analytics data into the Information Report. A nightly user sync process ensures the personal data fields on the Workforce Analytics users are kept up to date with the SAP SuccessFactors record. To meet data privacy and protection requirements, all user records must be maintained on the SuccessFactors platform.The following personal data fields will be automatically kept up to date for the synced user. The Sync button in User Maintenance allows for a manual sync of the user details, to be used in addition to the nightly user sync process. Note: All the screenshots used in this blog are taken from Demo instance.